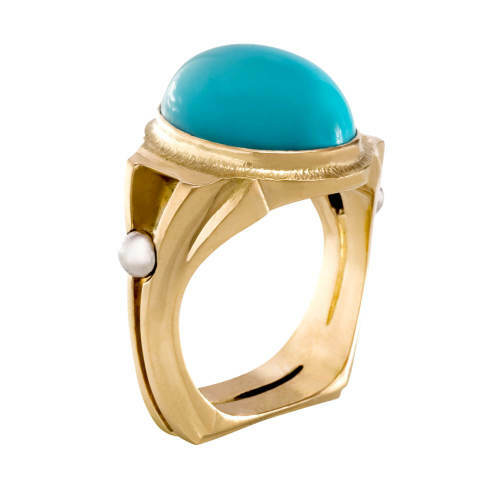 Ring with a Persian Turquoise cabochon set in 18 kt yellow gold, 18 kt white gold. A one of a kind ring with a Persian turquoise cabochon set in 18 kt yellow gold, 18 kt white gold. This piece was specifically designed for a private client but you can contact the designer for a custom request ‘similar to or inspired by’ this piece as well as for further details that have not been disclosed for privacy reasons.